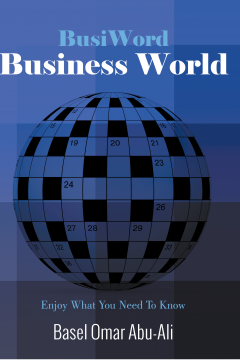 BusiWord includes major 350 business terms, concepts, models, and formulas in the accounting, finance, investment, management, economics, and marketing fields. The purpose of this book is to learn or assess your information while you are enjoying solving crossword puzzles. It is a fruitful use of time! A book in your bag everywhere! It can be on the road, at the airport, in the office, or at home. It can be solved in private, with your colleague, or within a group. 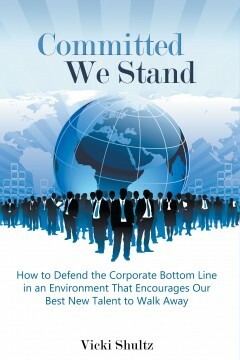 This book gives insight into the how you and your orginization can reap great rewards by helping others. We all enjoy giving for a good reason and there is a certain sense of pride felt when one can see the results. But the greatest rewards or from profits for you the individual and or your group. Find a way to make a profit while showing love for others, especially in their time of need. In business, failure should not be an option. The gap between the Boomers, the Generation X, and the Millennials is widening every day. Essential top spots for qualified candidates are becoming scarce. Every time a young professional on the succession plan quits, it would take years to replace them. And those who are at the older end of the scale may not have years to complete the plan. So, when a company fails to prepare a proper succession plan, then it might die a slow and silent death. That’s why Vicki Shultz is here to help with her practical book on how to stop your best new talents from walking away. With her pragmatic approach to success, this book is a handy guide toward one’s goals. Pursuing the college process should reflect the process of buying a home where buyers are savvy to the interests of sellers. But that’s not often the case with parents navigating the college process. Rather, they typically remain uninformed and vulnerable to the college interests. Colleges know this about parents and will exploit their weaknesses costing them thousands of college dollars. 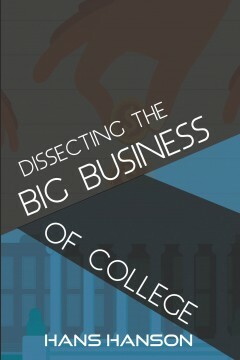 Dissecting the Big Business of College reveals the business model of the college and brings it to the forefront of your attention. While this book exposes colleges interests, it more so exposes parent’s weak tendencies. This book teaches parents the college perspective and how they get what they want from you—money. We give you our Top 10 Strategies that’s proven for saving thousands on college costs. You will advance from position of weakness to position of strength in dealing with colleges. Winning the college game requires understanding the college perspective. We deliver that to you right here! Hans J. Hanson is a national college advisor, having spent over fifteen years helping students win admissions, athletes play college sports, and parents save thousands on college costs. He is the Founder of CollegeLogic, a college advising service to students, athletes, and parents providing guidance and direction for getting college right in a complicated environment. He is the Founder of GetCollegeRight.com, an online platform for winning admissions, earning scholarships, being recruited, and saving college costs. Hans is an accomplished speaker, author, and expert advisor having worked with hundreds of college-bound families and spoken in front of over 20,000 people. Hans is proud to wake up every morning to the awesome responsibility of helping young people achieve their goals for college and life thereafter. You are being evaluated on factors that go beyond your technical abilities, personality or past performance. To get through certain doors, you need to know how to communicate and perform confidently in any situation. Barbara B. Bergstrom, a recognized authority on executive presence and international protocol, knows how to succeed. Every week, business executives throughout the country read her syndicated column, “Executive Etiquette,” to gain advantages over their competitors. Now you can also benefit from her insider knowledge. You choose your behavior so you determine the consequences. 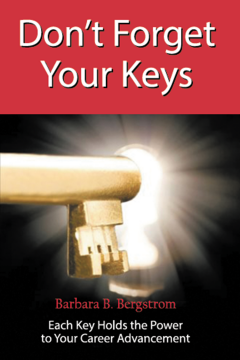 Make a conscious decision to join the successful people who are unlocking doors. It’s as simple as knowing how to stand out from the competition and do the right things. 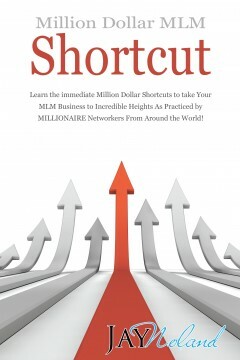 Jay Noland is known as the “Multi-Million Dollar Creator” in the MLM Industry. Starting in the industry 20 years ago, he's built sales organizations of approximately 500,000 distributors and millions of customers globally in over 50 countries. Jay has a very diverse background ranging from Professional Baseball, Mortgage Banking and Brokering, and Real Estate investing. 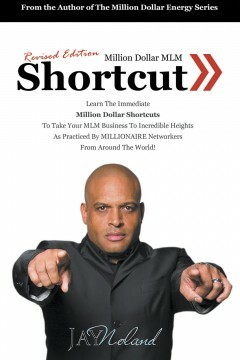 His passion however is in developing strong people, and the MLM Industry allows him to do just that. Currently, Jay travels the world focusing on his passion of mentoring, speaking, and training those who want maximum results in the fastest time possible. Jay's leadership skills have been proven time and time again in many successful companies that he has developed. Introducing a Legend in our Industry, Mr. Jay Noland. He began his career in Network Marketing in 1995. He’s built multiple massive sales organizations that span in several different countries. Mr. Noland is known throughout the industry as a Master Trainer. He has helped thousands of people reach their highest heights in personal development. He is also known across the globe for his gift in motivational speaking. Mr. Noland has spoken at massive events in front of people from all walks of life. He has impacted the masses in such a highly positive manner. Personal Growth Training is a great passion of Mr. Noland and he considers it’s an honor and a privilege. Mr. Noland spent several years in the Mortgage Banking and Brokerage arena as well, managing and developing a multi-million dollar team. He is well versed in the world of business. He has generated and produced several millions of dollars in major business ventures. His Leadership skills have been proven time and time again in many successful companies that he has been a part of. Mr. Noland understands and embraces the concept of what a true leader is. He has illustrated his ability to get in the trenches with the people, producing results at times that reach further than most ever dreamed. Mr. Noland has taken a strong position in life by standing for truth and integrity without wavering. His passion is in the relationships he builds with people. Once you get an opportunity to spend personal time with him, you will be impacted in a positive way. 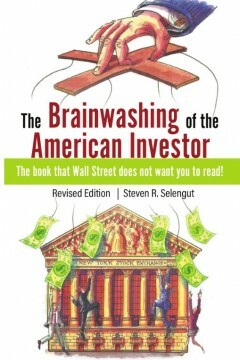 The Brainwashing of The American Investor – Revised Edition is the updated, hands-on, practical investing manual that challenges the prevailing wisdom to put your trust blindly in Wall Street. Author Steve Selengut has spent over forty years in the financial services industry developing his tied-and-true Working Capital Model. Selengut tells you why you need to think outside the Wall Street box and proceeds to outline a practical, realistic and safe strategy for long-term, profitable investing. Steven R. Selengut, MBA, RIA, has been in the financial services for more than forty years. He started investing while employed in a life insurer’s pension investment department. 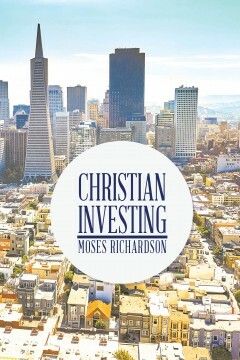 At age 25, he gained responsibility for a modest trust portfolio and began his trading career using the working capital model outlined in this book. Selengut’s twelve-year adventure in financial services produced an appreciation for the Wall Street environment that helped him fine tune his unique investment strategy. The program’s success propelled him into early retirement at age 33 and a new career as a private portfolio manager. He developed a unique cost-based approach, with individually managed portfolios, low annual fees, and commissions to an uninterested third party. He has built a loyal following of dedicated clients, many of whom have been with him since the beginning. More information about his investment management business can be found at www.sancoservices.com or by calling 800.245.0494. Selengut, a native New Jerseyan, lives near Charleston, South Carolina, with his wife and best friend of fifty years, Sandra. They have grown children and two growing grandchildren. The only limitation on your leadership potential is the one you create by how you think. 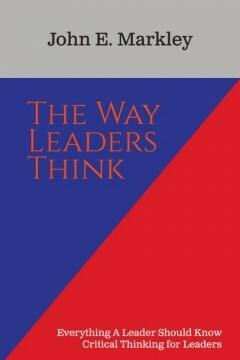 The individual who receives critical lessons in thinking on how to think like a leader is given an advantage in life. JOHN E. MARKLEY is recognized for his work in program and leadership development. He has developed curriculum, written books and materials and provided training programs for local, county, state and federal government employees and leaders. He has developed training programs, written curriculum and provided training programs for private sector employees and leaders. He developed a pilot training program for the U.S. Department of Labor: OSHA Consultation Program in conjunction with The Small Business Development Centers and the University System in West Virginia. He was appointed by the U.S. Department of Justice National Institute of Corrections Academy Division to serve a three-year term as a Northeast Region Field Coordinator. In this capacity he developed curriculum and provided training programs to corrections employees and leaders on a national level. He was appointed for an additional year as an alumnus to assist in training newly appointed field coordinators. He has worked as an adjunct professor teaching university students Criminal Justice theory and practice. He has worked for the Department of Education teaching OSHA approved courses. He has assisted in supporting community programs for the youth.